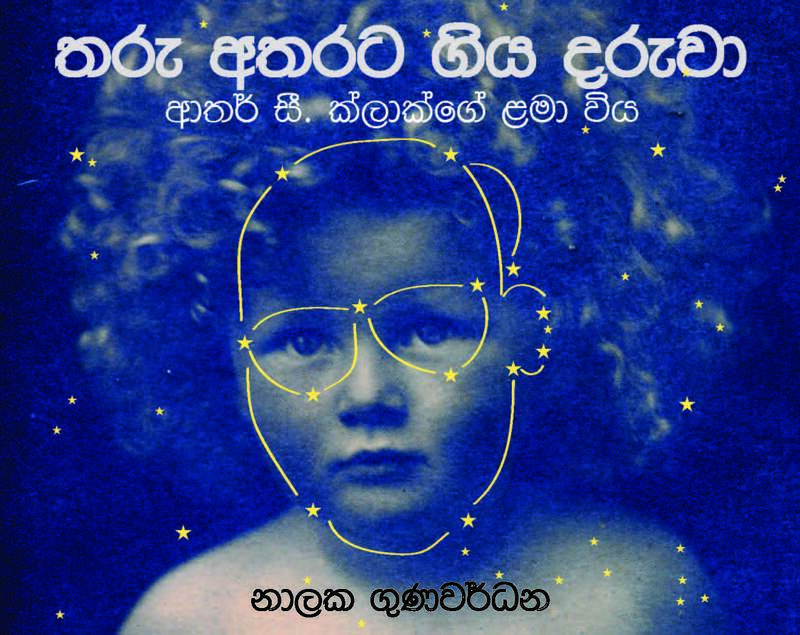 A new Sinhala language book, being released this week, traces the formative years of Sir Arthur C Clarke (1917 – 2008), author, undersea explorer and futurist. Titled ‘Tharu Atharata Giya Daruwa: Childhood of Arthur C Clarke’, the book is written by Lankan science writer Nalaka Gunawardene who worked with Clarke for 21 years as research associate at his personal office in Colombo. The book, in story-telling style in conversational Sinhala, is suitable for readers of all ages, and especially for parents, teachers and children. Clarke’s accomplishments are known much more than his humble origins and early inspirations in life. 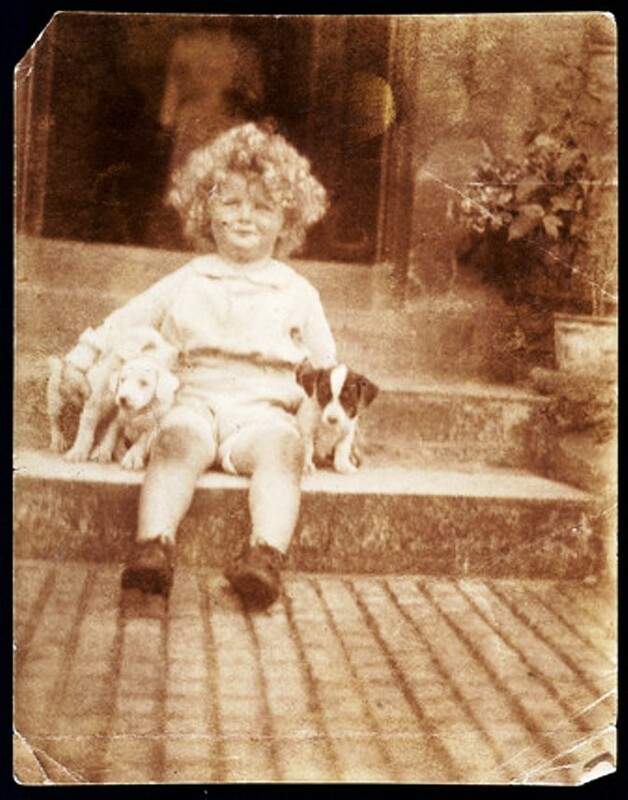 He was born in rural England as the First World War was ending, and spent his childhood years in Minehead, Somerset, close to the sea. His experiences were shaped largely by growing up on the family farm, exploring the local beach, and working part-time at the village post office. 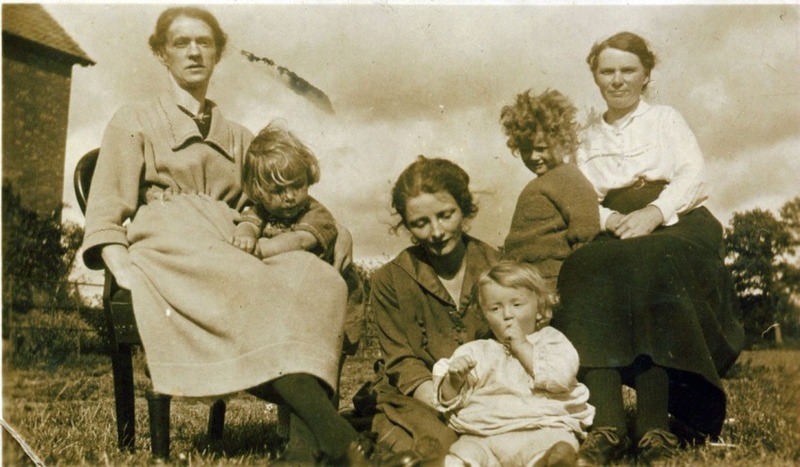 Arthur was the eldest in a family of four, who were raised by their dynamic mother, widowed at a young age. Despite cycling 20 km to school and back and helping on the farm, he excelled in studies and pursued serious hobbies — star gazing, mechanical experiments and nature observations. Chapters are devoted to facets of young Arthur Clarke, covering pursuits like avid reading, fiction writing, rocket building, movie watching and his elaborate yet harmless pranks. Throughout the book, readers discover less known facets of the global figure – such as his fondness for animals, dinosaurs and comics. While confining mostly to his first 20 years, the book connects Clarke’s childhood exploits with his later feats in science fiction, undersea diving, space exploration and telecommunications. In a career spanning over six decades, he wrote some 100 books and more than 1,000 short stories and essays covering both science fiction and science fact. He was the first to propose geostationary communications satellites, and one of his stories later inspired the World Wide Web. The book collates information, images and insights Nalaka has accumulated over the years working closely with Clarke on the latter’s literary and scientific projects. 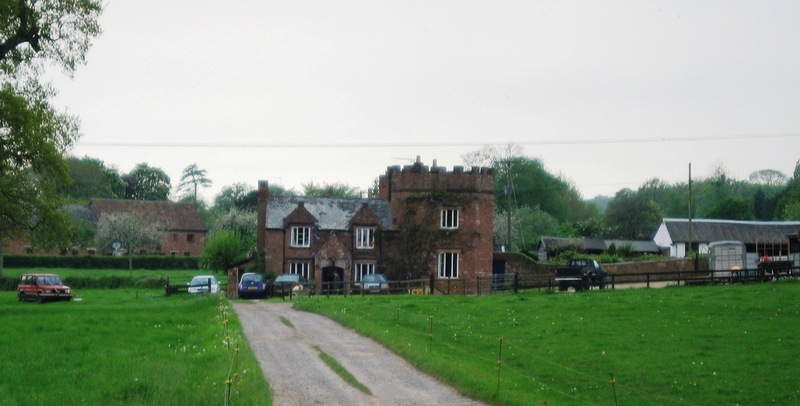 Nalaka twice visited Clarke’s home town of Minehead, family farm Ballifants and town of Taunton where he schooled. 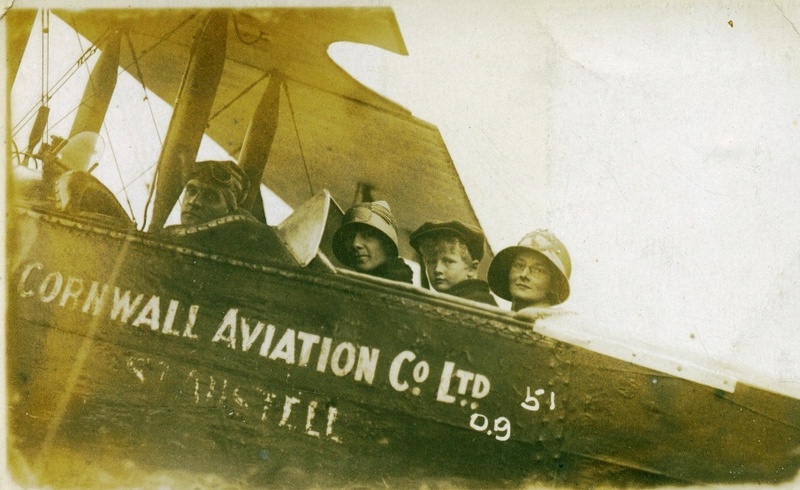 Photos from these travels enrich the book which quotes Clarke’s biological and Lankan family members. In 2012, Nalaka was a collaborator to the extensively revised and expanded edition of Clarke’s authorized biography, titled Visionary: The Odyssey of Sir Arthur C. Clarke. It was written by Neil McAleer, who also wrote the original 1992 biography. Nalaka reiterates that the best way for Sri Lanka to celebrate the legacy of Arthur C Clarke is to adapt his ideas for a better world based on knowledge, ethics, compassion and imagination. The 120-page large format book, published by Suratha Books, is priced at LKR 600. It will be on sale at several booths the Colombo International Book Fair from 10 to 16 September 2014, with significant discounts. A book launch event is to be held later. Sri Lanka’s National Integrity Award ceremony 2010 was held at BMICH, Colombo, on 9 December evening. This marked the culmination of weeks of work in reviewing nominations and verifying information. I was part of the three-member independent award committee that chose the winners. The occasion was both solemn and quietly inspiring. It was telling that the winner of this year’s award has been dead for nine years – killed for being honest and forthright in his work. The late Sujith Prasanna Perera, a former Assistant Superintendent of Customs, paid the price with his life standing up against corruption and promoting integrity in his own department. 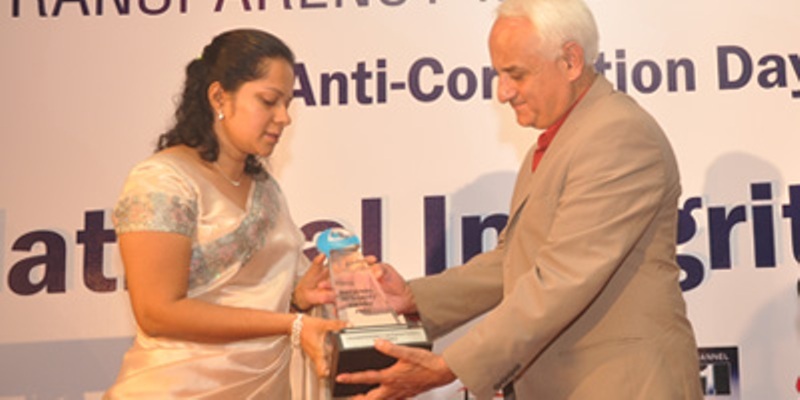 It was a moving moment when the wife accepted the award from my Nepali friend Kanak Mani Dixit, who was chief guest. The audience stood up and observed two minutes silence as a mark of respect. Some people who never knew the winner in person were in tears. A Maulavi (Muslim priest) from Kinniya in the Eastern Province, M Y Hathiyathullah won recognition with a Special Mention for his active involvement in anti-corruption activities. “Having studied this year’s nominations, we feel that more work needs to done to enhance the public understanding of corruption. This cancer is not limited to isolated acts of bribery or influence peddling or subverting the rules. Indeed, these are merely the tip of the iceberg — and there are many other ways in which corruption and mal-governance erode our entire social fabric. When people can better recognise the many ugly heads and tentacles of corruption, we hope it would motivate more public-spirited individuals to counter them. “In our view, the various legal, regulatory and other structural arrangements are all necessary – but not sufficient – to combat corruption. Corruption is deep rooted in human greed. The temptations and opportunities for corruption are greater today than ever before. Faced with these stark realities, we must find the bulwark of resistance in our individual and collective values. “In the end, the journey to a cleaner, honest and more equitable society begins with each one of us – the man or woman in the mirror. Each one of us is corruptible. At the same time, each one of us also has the potential to counter corruption. In this era of mobile phones and WikiLeaks, the opportunities are only limited by our courage and imagination. No act is too small or too insignificant. And silently looking away is not an option.